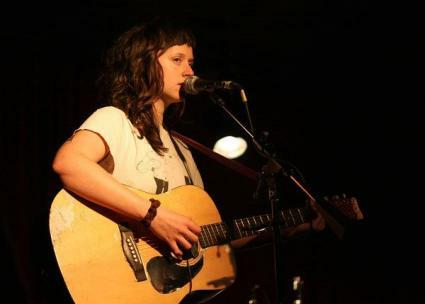 Waxahatchee (a.k.a. 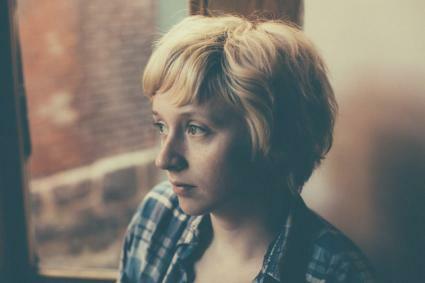 Katie Crutchfield) recently released a new music video for "Coast to Coast," off her latest LP Cerulean Salt (Don Giovanni), that seems just right for the summertime as you watch Crutchfield and friends take a dip in Alabama's Waxahatchee Creek. The video was directed by filmmaker Ryan Russell. 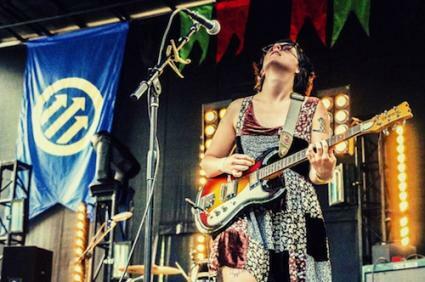 Waxahatchee will be performing a free concert on July 31 at Morgan's Pier. Ha...never thought that we'd use the word "Waxahatchee" so many times in one short paragraph. Waxahatchee! 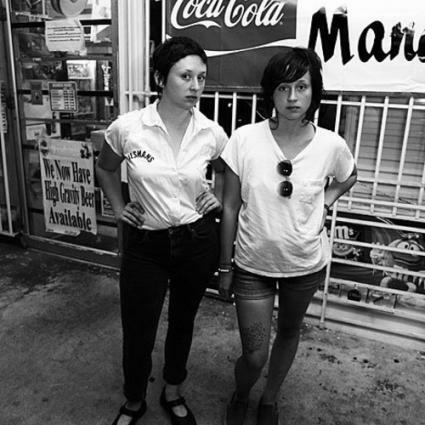 Twin sisters, Katie (Waxahatchee) and Allison (Swearin') Crutchfield, formerly of The Ackleys and P.S. Eliot, reunite to record a cover of Grimes' "Oblivion" for Rookie Mag's Theme Song series, which was posted earlier today. It's a noisy guitar-driven rendition of the song that still maintains the irresistible pop vocals. Enjoy! 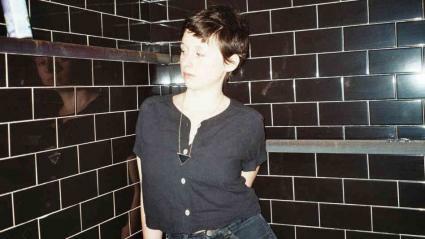 Waxahatchee is the now Brooklyn based solo project of songwriter Katie Crutchfield, formed after the breakup of punky, Alabama based band P.S. Eliot (another ex-member of that band is now involved in Philly based Swearin'). The project's sound trades that trio's aggressiveness for a more thoughtful and folky approach, without giving up entirely the occasional distorted guitar burst. The single from the album ("Coast to Coast," streaming below) is a more uptempo number that takes us back to the glorious days of the (poppier) riot grrl period - think a fuzzier Juliana Hatfield or Liz Phair. Pitchfork gave the album its Best New Music blessing, which is still pretty much a career building event, and probably the main reason why you want to go see Waxahatchee live this Saturday 04.27 at Glasslands when she will be opening for The Babies.